If you cycle from the centre of town to Shoreditch or Hackney then chances are you'll use Clerkenwell Road. 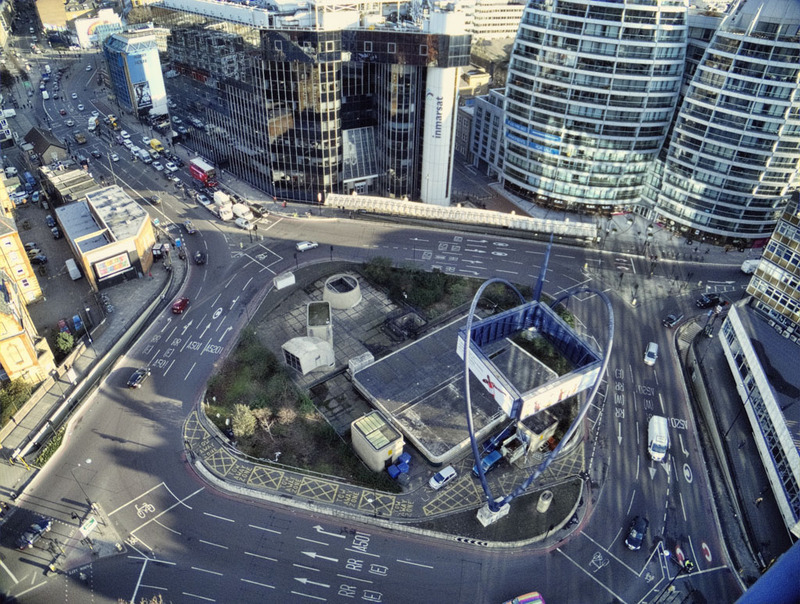 And if you use Clerenwell then chances are you'll use Old Street roundabout. 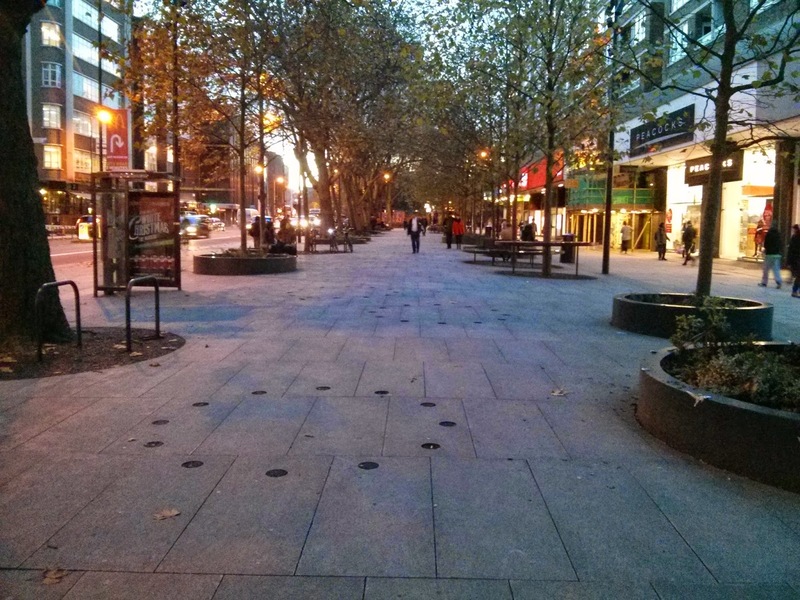 Carved into the area in the 1960's with the aim of pushing as much motor traffic as possible through the area as quickly as possible, with only a small amount of space retained for pedestrians and virtually no space for cycling. 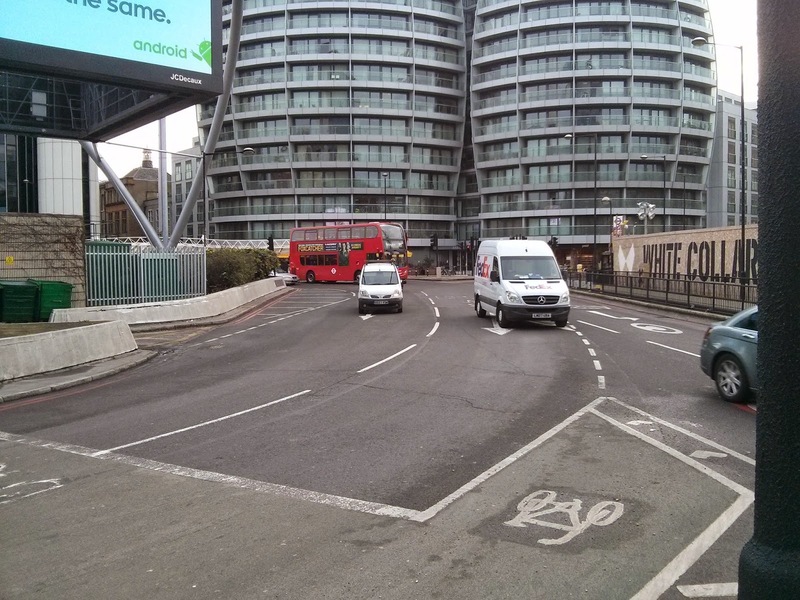 Today over a third of all vehicles passing through the roundabout are people on bikes so at last there are ambitious plans by TFL to remove the roundabout completely. The plan is to close one 'arm' of the roundabout, hugely increasing the amount of space for pedestrians in the area and finally making use of all the wasted space in the middle of the roundabout. 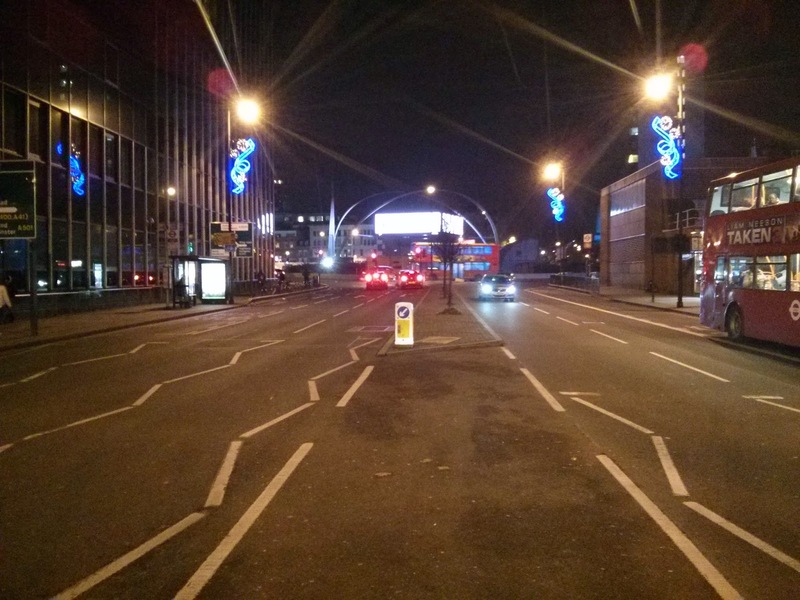 Finally we are to see segregated cycle lanes and also more direct crossing for pedestrians. Sounds good but the plan still has a few errors. The biggest error of the entire consultation is just near the end of Clerkenwell Road, adjacent to the underground station. Here there is a cycle lane but a new loading bay has inexplicably been placed inside the cycle lane, meaning lorries dropping off goods will have to drive across the cycle lane to reach the loading bay. An absolutely lethal design. If you're responding to this consultation please ensure you ask for the cycle lane to be placed inside the loading bay with a clear segregated strip as well. The loading bay is proposed to go on the left of the picture here with the cycle track roughly in between the two vans. East of the junction in Hackney the design is poor as well, they're removing the central reservation in the space below and taking space from the pavement but six wide lanes for motor traffic remains. People cycling West from Hackney are expected to mix it with three lanes of fast-moving traffic on the ring road until they get close to the junction where a cycle lane appears. 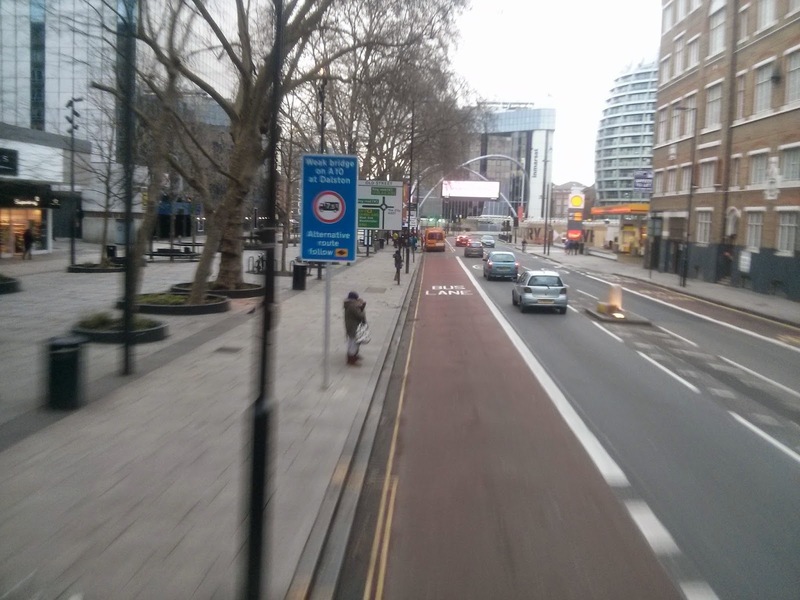 Heading east towards hackney there is no Space for cycling at all just a "wide 24 hour bus lane"
Does it really need explaining to TFL that most people will not and should not cycle with buses so a wider bus lane is not good enough, especially when the parking bay remains. So whilst this design is not perfect and it doesn't give enough space to people cycling as I would like, it it is a huge improvement on the current layout and benefits people cycling and walking greatly. 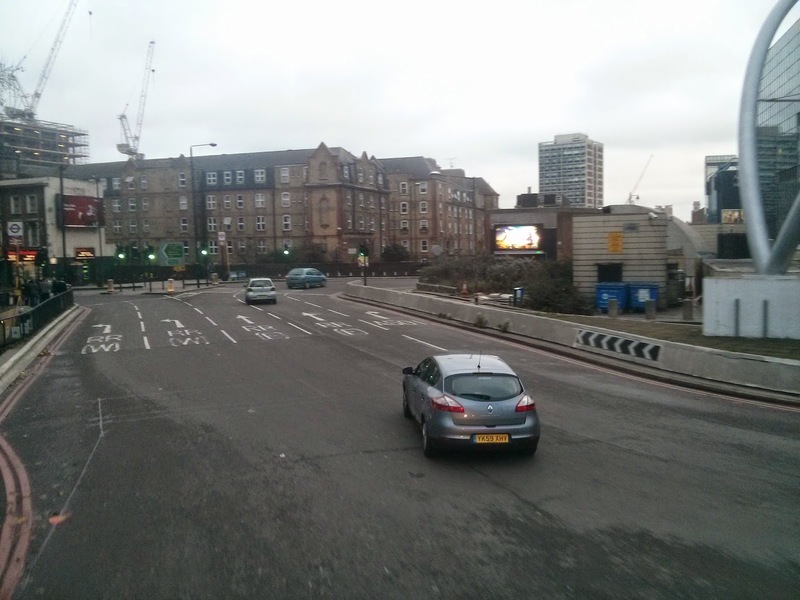 Whatever the layout it is essential that people who choose to walk or cycle through this junction have the option to do so without having to share the same space as the many thousands of buses, lorries and motor vehicles that use this section of the Inner Ring Road. Please respond to the consultation this weekend and, whatever your objections to the scheme, ensure you support the segregated cycle infrastructure on offer.